Gustavo Granitto is the founder of GTC Tennis Academy & Consultancy Inc (2005). He designs and supervises the operations of the integrated program of each player of the Academy from High Performance, (full/part-time player boarding/non-boarding with schooling), to Recreational Tennis & Development Program. Players from everywhere request to attend GTC due its individualized attention. The overall program has the legacy of producing ATP/WTA Players, Davis Cup & Fed Cup Players, winners of Grand Slams Juniors, Group A, and JTIC as well. Also, the Academy’s players have achieved full scholarships in the most prominent colleges in the US. Gustavo provides advice regarding Parents Orientation, Tournament calendar, Traveling team junior/professional circuit, College Placement, transitional to pro career, player management, and coaching education. His passion for coaching started young, running his tennis academy in Buenos Aires, Argentina (1978-91), Some of his students (like Sebastian Prieto, Del Potro’s coach), were national champions, professionals and Davis Cup players. Victor Estrella, Ryan Sweeting, Young Seok Kim, Jose Hernandez, Victoria Rodriguez, Marcelo Arevalo, Rafael Arevalo, Jaime Cuellar, Alex Llompart, Jose Velazco, Niluka Madurawe, Maria Olivia Castedo, Bautista Vilicich, Genaro Olivieri, among other players were influenced by Gustavo’s philosophy and coaching method. He managed Genaro Olivieri tennis career, (without ATP points in December 2016-ATP #495 in September 2017). Currently Jose Olivares, a promissory player from Dominican Republic is under full training and management of Gustavo and GTC Tennis. Since 1986, he has been associated as an ITF expert and consultant in different projects. From 1992 until the end of 2005, he was appointed as the full-time ITF Development Officer for Mexico, Central American and the Caribbean region. Through his ideas and influence, both the “ITF School Tennis Initiative” and the “ITF Performance Tennis Initiative” have dramatically improved both the participation and the competitive aspect of the region of Mexico, Central America, and the Caribbean. In addition, he was in charge of Coaching & Operations of the ITF Regional/Worldwide High Performance Training Center Panama/Florida from 1997 to 2003. 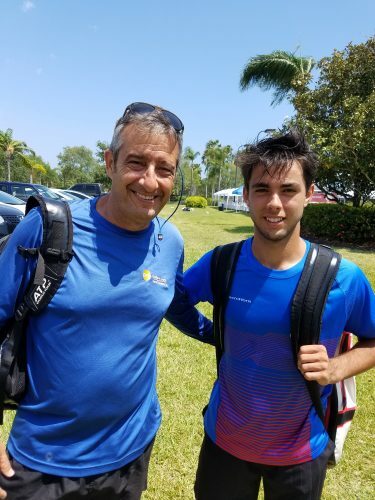 With more than 40 years in the tennis industry, Gustavo is considered a worldwide reference in Junior Development Players and High Performance concept. He has been a speaker presenting his ideas and methodology in ITF National, Regional and Worldwide Seminars in more than 51 countries worldwide since 1985; as well as participating in USTA Educational events, USTA TTC, USTA/Florida, the AAT, and the PTR during the last decade. He was also a Tutor of the Level I, Level II and Play and Stay ITF Coaches Courses. Gustavo was Director of Coaches Education for the Argentinean Tennis Association (1989-1992), and also Founder and Director of Coaches Education of FMT/PCFIE, a program of the Mexican Tennis Federation (2005-2009), where more of 400 coaches were officially certified by CONADE. He is a co-author of Developing Young Players, an ITF Manual for JTI used in several countries; has published articles in ITF Coaches and Sports Science Review, PTR Magazine and in several other publications for coaches. Gustavo’s communication skills were a priority in his career and his expertise was offered in several workshops and conferences. His article “Focused in Communication: an Inexhaustible Tool for the Coach” was published in PTR Magazine and was translated into Spanish and Japanese as well. Gustavo is a PTR Professional since 1979, he is an Honorary Member Professional of the PTR, USA, since 1996. 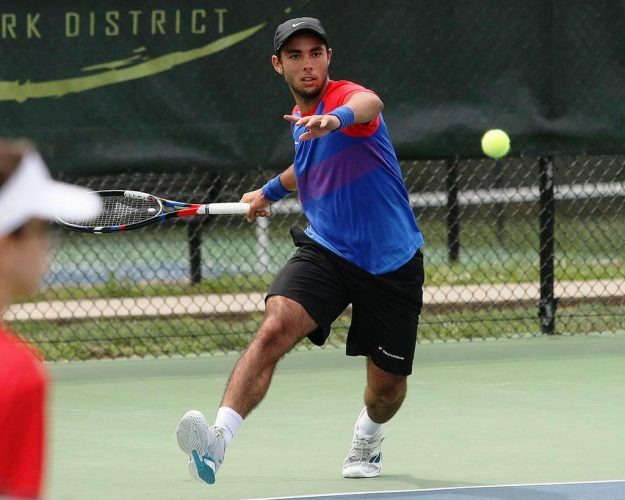 As a volunteer for USTA Florida, he was a member of the Youth Recreational Committee, Coaches Commission, and the key person for the task force “Tennis Para Todos.” In 2013 he was honored with the USTA Florida Diversity Achievement Award. Within the area of Diversity in the US, he has cooperated with Multicultural Camps in Florida and California. However, his major contribution was the creation of the 1st Workshop for Hispanic Coaches in the US, with the aim of involving, even more, Hispanic Coaches in the development of tennis in the US also highlights the potential market of more than 53 million Latinos. He has so far made 15 workshops between 2008 and 2015. He enjoys spending time in Patagonia and snorkeling in different countries. He has a special passion for gourmet Argentinean Asado (“an excuse to gather friends…” Gustavo says). Gustavo was born in Argentina and lives in Weston, FL, since 1999.